Whether you have been running an affiliate program for over a decade or just a few months, it is always great to audit your affiliate program to find out where you can improve. Here are a few areas to audit your program. First, you want to look at very general items, such as, is there a description of your affiliate program on your website? If so, is there a link to the affiliate program description page? The other areas that we consider to be general include having a competitive compensation and sufficient locking period. We have written about how to determine what your affiliate commission structure should be, so we won’t go into depth here in this post. The reason this section is so important is because these are the rules of your program. If you need to remove someone from your program or even remove commissions, these are the rules that lay out why that may occur. 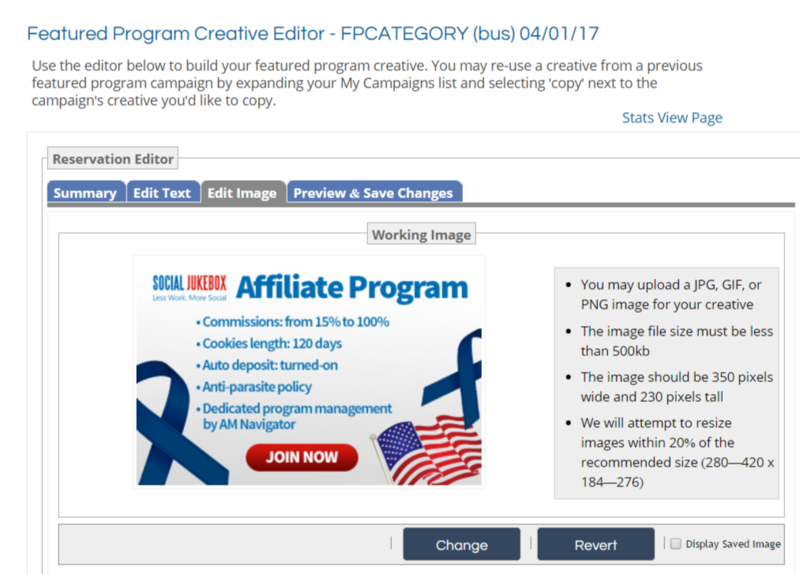 It goes without saying that creatives (banners or texts) are an important aspect of any affiliate program. Ensuring that you have the right size banners, the right call-to-actions, banners that convert and also a diversity of banners are all items to review during your audit. As with the affiliate compensation part, we have written about affiliate banners and creatives in the past, so you can check out those posts for more in-depth recommendations. This portion of your affiliate audit should be done for an overall e-commerce level. It is important to have landing pages that convert. If your landing pages are not converting, then affiliates are not going to promote your offers. 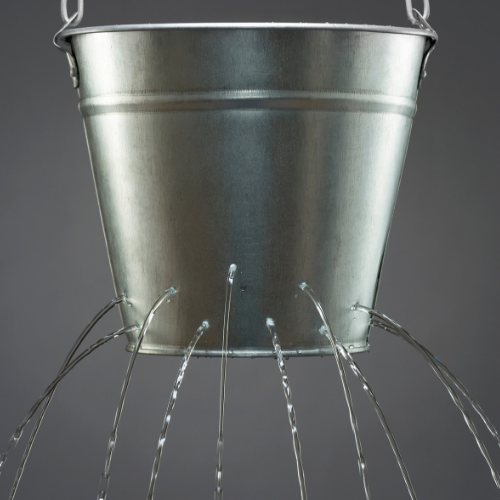 From an affiliate marketing standpoint, it is crucial that your landing pages do not have any leaks. What do I mean by leaks? A landing page leak would be something that allows the customer to order without the affiliate earning a commission. This could be a phone number within a call-to-action, for example, “Call now to get 10% off”. Also, if there are additional clicks and websites that a customer must go through in order to make a purchase, this could also end up in the affiliate not earning a commission. Now it’s time to audit your recruitment efforts. These efforts would be broken down into two components, active and passive. Passive affiliate recruitment is where an affiliate will find you, as opposed to active recruitment, which is where you reach out to an affiliate. 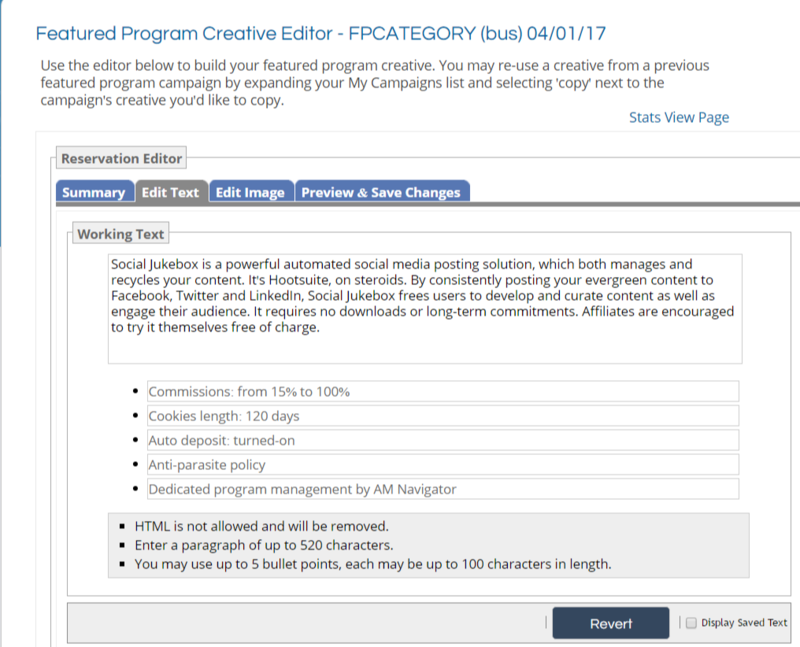 When auditing your passive recruitment efforts, it’s great to start with your in-network program description. 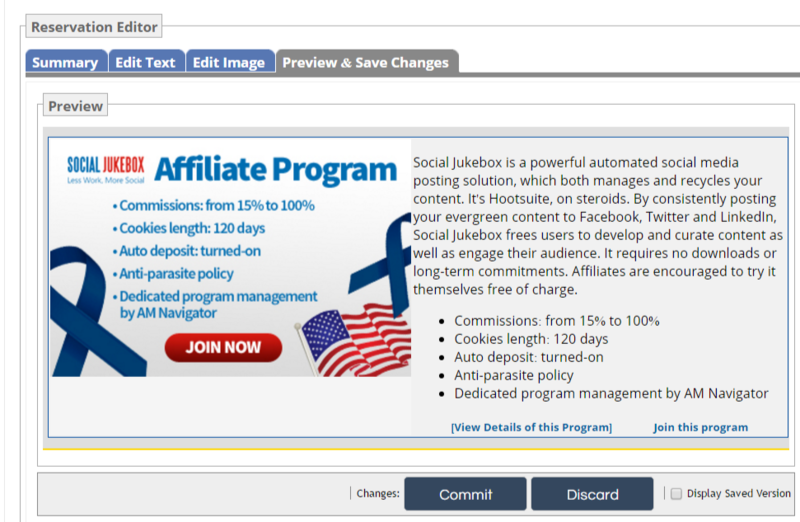 Do you have the right amount of keywords and ad copy to entice affiliates to join your program. Find out what keywords your competitors are using within their in-network search and utilize ones that would benefit you as well. To audit your active recruiting efforts, take a look at your outreach numbers. Are people opening your emails? 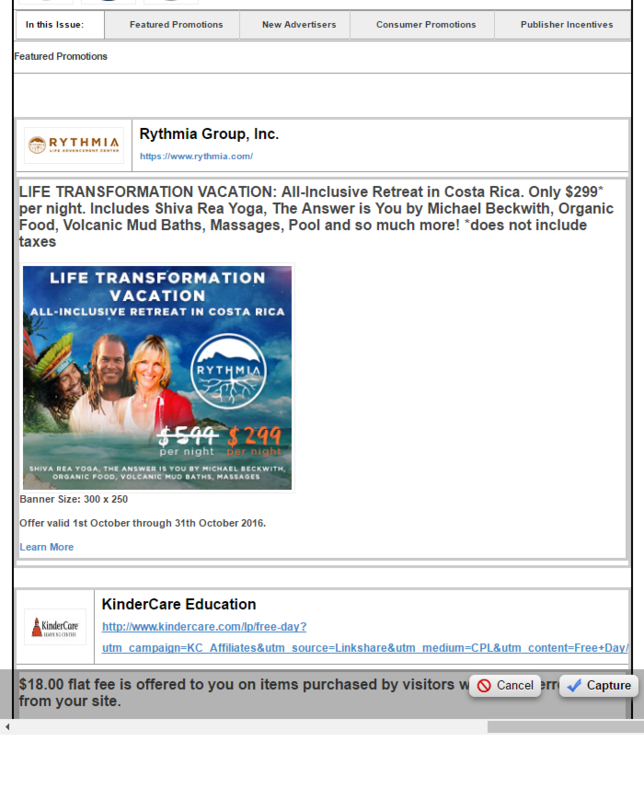 If yes, are they taking action to the call-to-action within your emails? If not, then it might be time to update your outreach copy. Audit where you are looking for your affiliates. Have you exhausted all your options in looking at your competitors’ affiliates? If not, that’s a great place to start. If people are already promoting a company within your niche, you may be able to easily activate them and have them start promoting your efforts. The first part to audit during this phase is what criteria do you have for accepting / denying affiliates? It is always a great idea to have something documented. If you are the affiliate manager and must take a leave of absence for whatever reason, it is always great to have guidelines for approval / denial for your affiliate program. The “I just know when I see it” approach may not always work. Once you have this criteria, it’s time to look at the emails that are sent to affiliates who are approved or even denied. Are your approval and denial emails to potential affiliates optimized for the best activation efforts? If not, this is a great time to audit them. When looking at your approval email to affiliates, it is important to include a recap of the affiliate program information (commission rate, locking period, etc. 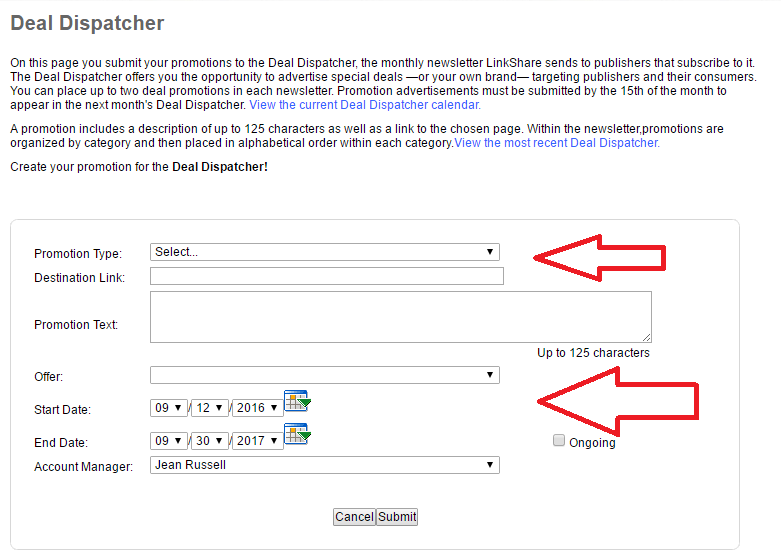 ), as well as pre-built links that affiliates can just copy and paste to get started referring traffic. 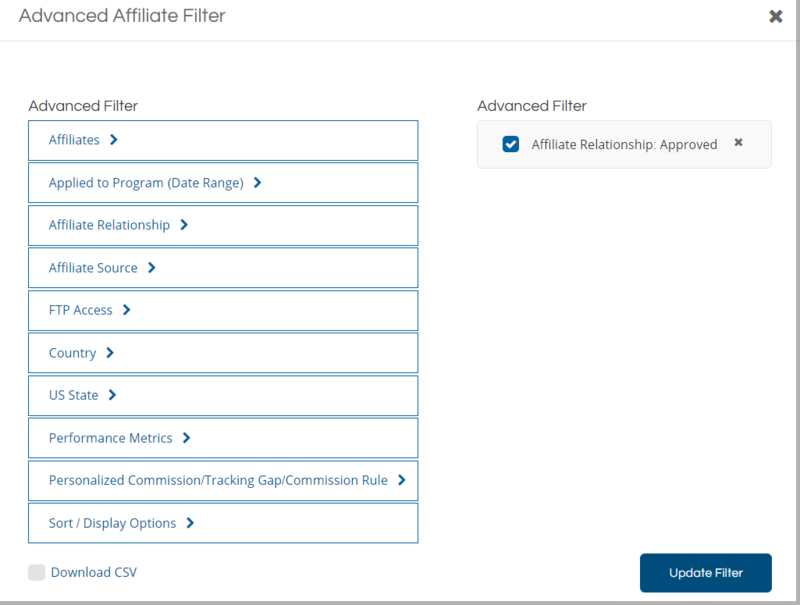 The next part that we are going to look at during your affiliate program audit is your overall affiliate management. This area is broken down into a few areas. First, we want to look at segmentation of affiliates. Are you currently segmenting your affiliates into different categories? For example, affiliates who have never referred a sale. This segmentation can be helpful when running activation / incentive campaigns and you want to provide a bonus for people who refer their first sale. Speaking of incentives, that’s the next part we want to look at during this part of the audit. 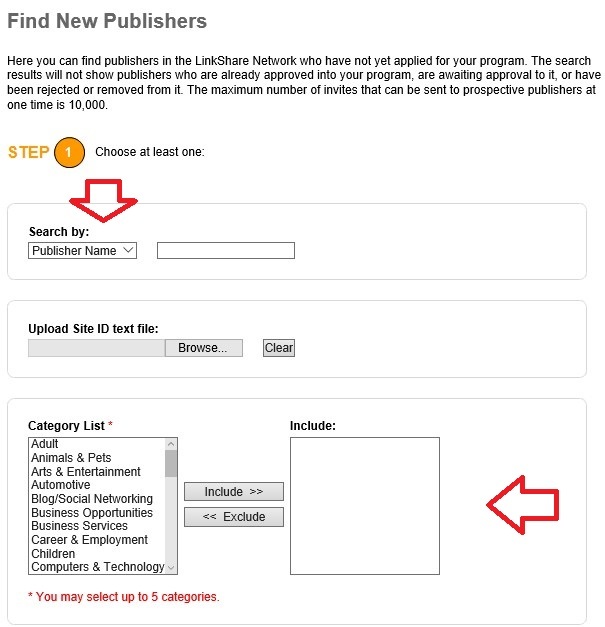 Are you currently running incentive opportunities for affiliates? If not, now is a great time to plan these out. You can test out performance based payout increases, cash bonuses for first time sales and any other incentive option you can come up with. Get creative! Lastly, we want to audit our program to find out where else we can optimize it to be more competitive and more successful. Starting with a competitive intel analysis is always a great idea. This will allow you to see what your competitors are doing with their affiliate program and you may be able to pull a few ideas from them. During this phase, you might also want to look at the utilization of co-branded landing pages. We have written about the benefits of co-branded affiliate landing pages before, so won’t go into too much detail here, but implementing a landing page with an affiliate’s logo may help increase conversions. If your program is not currently utilizing these types of landing pages, then this audit can help pull this task to the front of your to do list for 2019. The start of the new year is always a great time to perform an affiliate program audit and find out where you are in order to plan where to go next. If you have any questions at all, please contact us. Also, please be sure to Like Us on Facebook. Data feeds are an important piece to a successful affiliate program. Keep in mind that not every merchant will be able to utilize data feeds since they are designed specifically for merchants with multiple products. Data feeds are files that include information about a merchant’s products. Information that is included is: SKU, price, image, availability, description, etc. A merchant should include as much information as possible so that affiliates can promote their products effectively. How does a merchant make their data feed available to their affiliates? Today, I am going to outline how ShareASale merchants create and distribute their affiliate data feeds. A merchant can either use this link – https://account.shareasale.com/m-productmanagement.cfm or they can get there by clicking the “Creatives” tab and then “data feed”. The merchants can now see how what it will look like once a data feed is loaded. It will list the number of products included in the feed, the last date updated, number of times processed during current month, and the number of updates allowed in the current month. 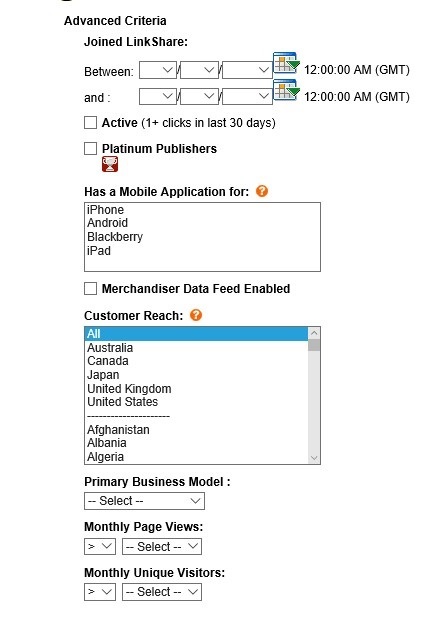 By clicking the “View Your Products” merchants can also view their entire product data feed. There are specific requirements ShareASale needs merchants to include in their data feeds, but not every piece of information presented in their requirements is necessary. 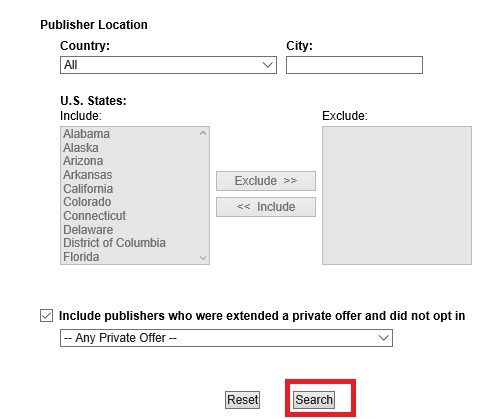 By Clicking the “View Data Feed Requirements” merchant’s will see specifically what needs to be included. The required fields are designated below with a red arrow. In the column “Null Value Allowed”, No means the field is required. Merchants will want to fill in as much data as possible even if it is not required. 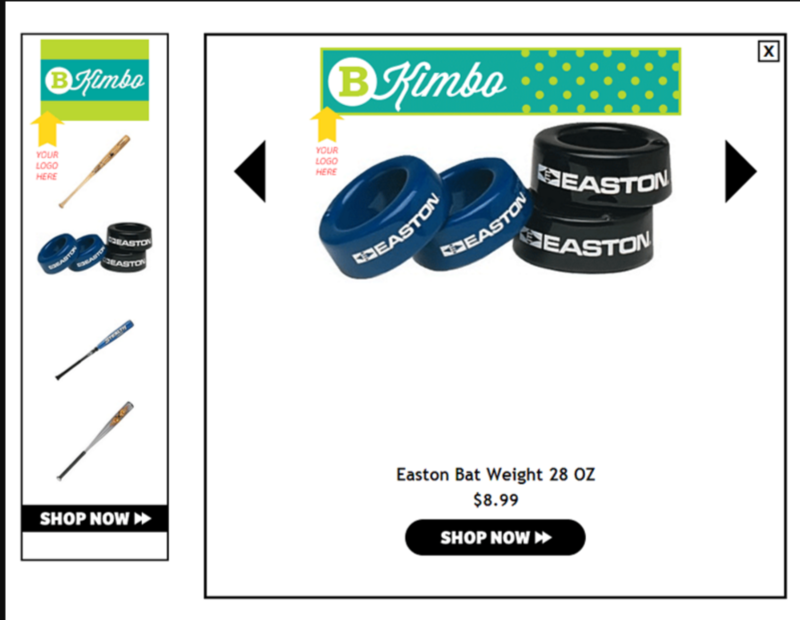 The more the affiliates have the better they can promote the products. 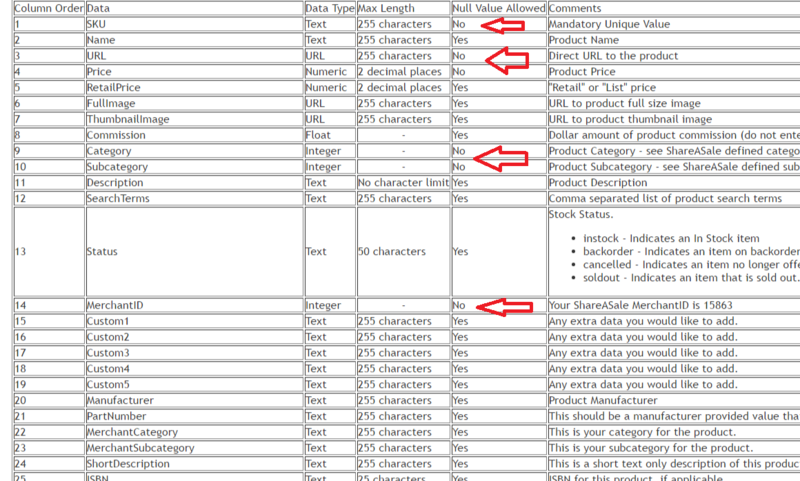 After reviewing the requirements, merchants should download the sample file and use it as their guide. Please note that all column headers must remain in the sheet even if they are not complete. If not, the uploaded it will not be successful. The data feed file has been completed based on ShareASale’s requirements, so the final step is to upload it. 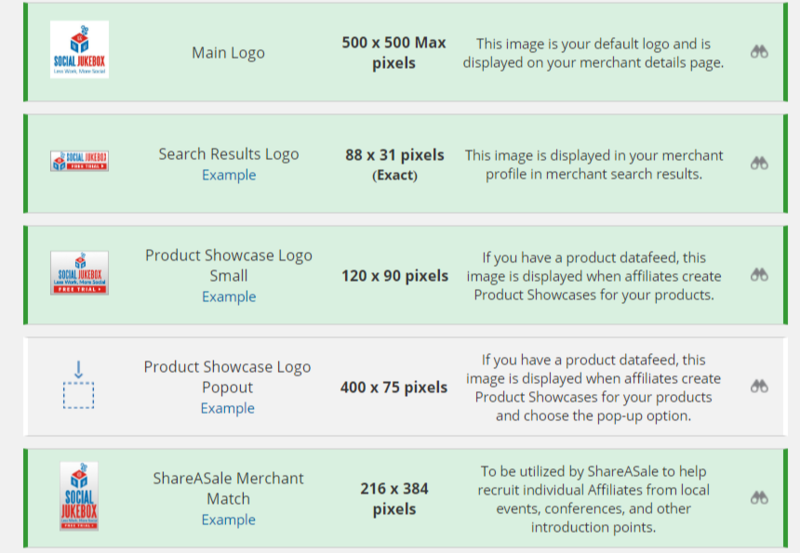 Click the green “Upload a New Data Feed” button on https://account.shareasale.com/m-productmanagement.cfm. Click “Choose File” and then “Upload Data feed”. If there is an error, it will pop up and will need to be addressed. To be safe we ask merchants to reach out to ShareASale directly to ensure the data feed properly loaded. Merchant’s should be updating their feed as often as new products are introduced, removed, changes in pricing, and availability. Affiliates should be armed with the most up to date information in order to successfully market the products.